This 24,000 square foot Skate Park at Mount Trashmore Park is open for public use. 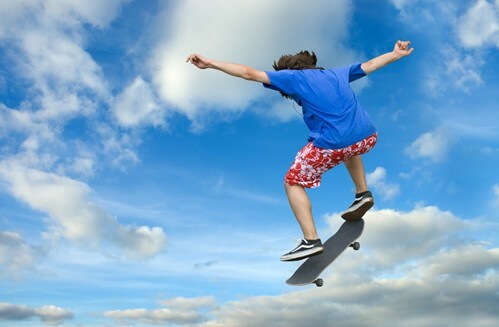 The Skate Park features an extensive street course flowing from an above-ground, seven-foot deep bowl. The components, designed and built by Minnesota based TrueRide, are framed with treated wood and completely covered with composite material. The skating surface is Skatelite Pro. The Skate Park is located near the Kids Cove Playground, just off South Boulevard and near Lake Windsor and Encore Hill at 310 Edwin Drive. 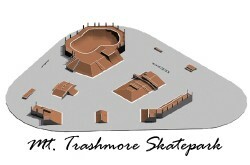 Additional information regarding the Skate Park may be obtained from the Mount Trashmore Park Office at 757-473-5237. This park has 10,400 square feet of concrete skateable area and 3,200 square feet of interior green space. Boasting several challenging components, the plaza contains a five-foot tall quarter pipe, vert wall, rails, hubba ledges, radial ledges, stairs and handrails to provide endless skating action. Bleachers are available for spectators.